The body is a sectioned Orange Crate body coated, as is the chassis, in House of Color Candy Tangerine paint and Dupicolor Light Cream scallops. Taillights are custom made Bob Dudek units. 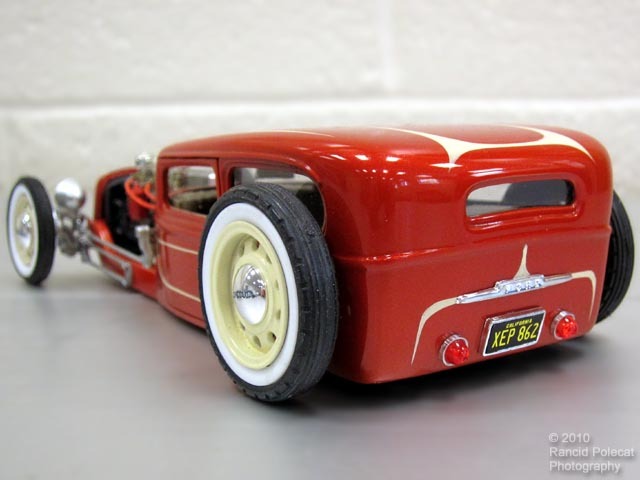 Thought it's hard to appreciate through the narrow windows, Bill scratchbuilt the interior around a 1937 Chevy dash.